Submitted by webmaster on 01/05/2017 - 17:05. When we talk about venetian carnival masks we always think of Arlecchino or Pantalone… However, the first masks used by the venetian where different and definitively more original. 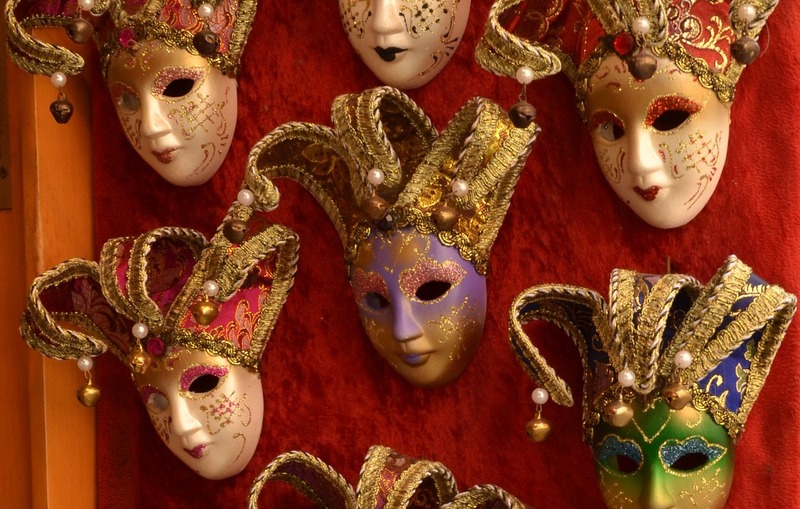 Get to know everything about the masks used for carnival in Venice and the real meaning of them…. When we talk about the masks for carnival in Venice (see our vacation proposal, to enjoy venetian carneval at its best! 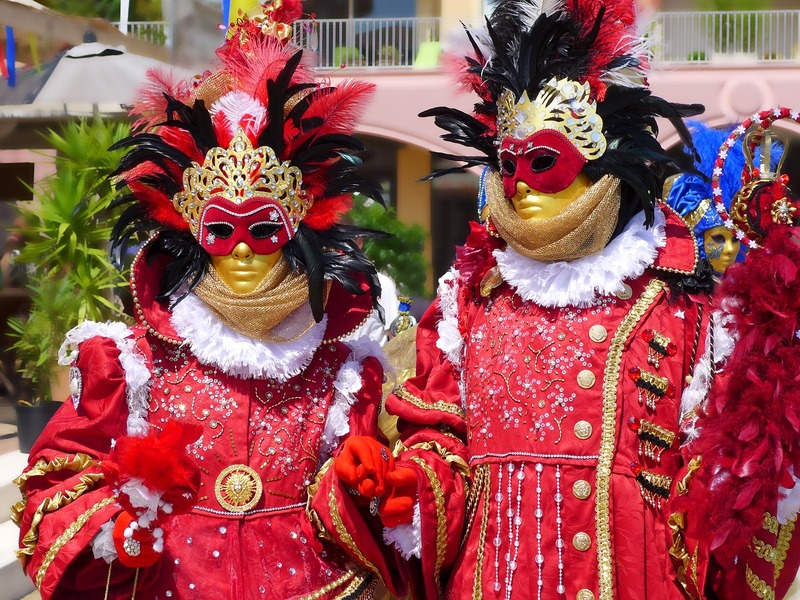 ), it is important to underline that venetian used to wore them not only during carnival time: in Venice, it was also possible to wear a mask during the fifteen days of the Ascensione (even, sometimes, till the mid of June) and for banquets or official occasions. As far as carnival was concerned, however, the mask was ‘due’ from the day of Santo Stefano (the day in which the carnival begins) to the Martedì Grasso (the day in which the carnival ends), at midnight. For men, the tipical mask was the Bauta which was composed by a dark mantel (tabarro), a black hat called tricorno and a white mask called Larva (in Latin, larva means ‘gost’ or ‘mask’). The tabarro could be also of other colours and its particular function was the one of making the person able to carry weapons or guns without been seen. However, if they were discovered, the punishment was very strong: two years in jail, eighteen months in the Repubblica della Serenissima Army or 500 lire penalty to be paid at the Cassa del Consiglio dei Dieci. 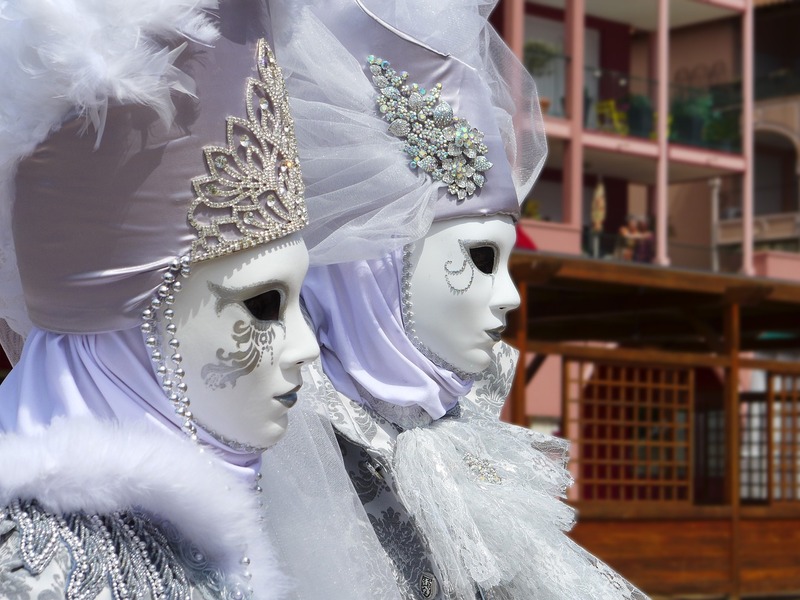 The masks used for the carnival by women in Venice was called Moretta and it was defined as a maschera muta since the ladies had to carry it by keeping a little button in their mouth. The Moretta had an oval shape and women used to like it since it was perfect to enhance the colour of the eyes and the soft curves of the face. If at the beginning the Moretta was only made by velvet, after a while women started to put little veils and other ornaments. The origin of the carnival of Venice (have our ideas for your accommodation during carnival time!) comes from a feast that was usually held in February to celebrate the beginning of Spring. Than, thanks to the venetian carnival masks, it became the occasion to delete all the differences among people and to relate freely with the others. The venetians used to like it so much that in the XVIII century the carnival feast could go on for over six months!